Just a quick post to say sorry I have been away for so long, the real world ‘out there’ has been keeping me very busy lately with exams at University but I am now on holidays, yay! That means that I will be getting back to my regular posts. In the meantime each Thursday I will share some of my favourite thoughts that I find floating around online. You have probably seen this one, it is from good old Pintrest, I just love the graphic. 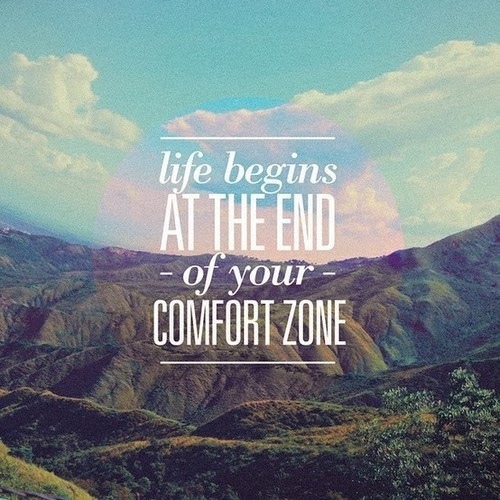 When was the last time you stepped out of your comfort zone? Share your thoughts in the comments or tweet me @flickofapproval.